I found this sauce somewhere on the internet, but I can’t remember where. I’ve managed to adapt it in various ways to make it fit lots of different meals. 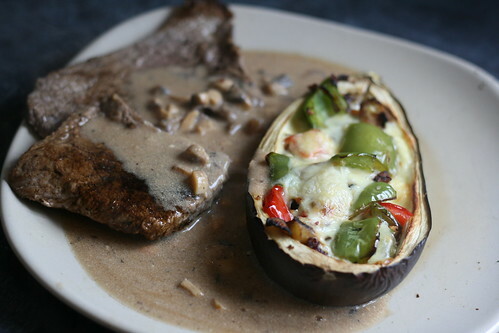 This version is the mushroom one, but I’ve also made it with shallots, red onion and normal onion as the main ingredient. Just have an experiment, see what works for you. I call it Super-Amazing Sauce, because it is super amazing. This might seem like I’m being big-headed, but I think this sauce is impossible to make badly. Every time I’ve made it my Dad has said “Mmmmm, this really makes the meal”. It’s lush. Plus, it’s really easy. 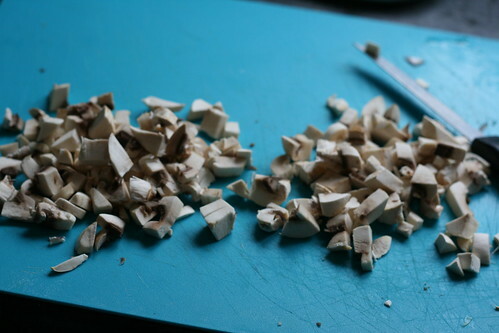 Firstly, chop the onion/mushrooms/shallots into the smallest pieces you can be bothered with. The smaller the better, but we’ve all got lives to lead. Do the same with the garlic, or crush it if you like. 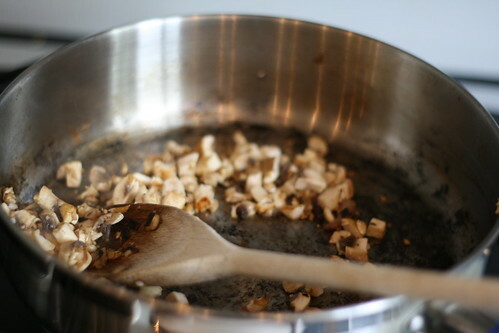 Put the garlic and the mushrooms/onions/shallots into a pan sprayed with Fry Light, and cook for a couple of minutes. Then pour in the stock and bring it to the boil. 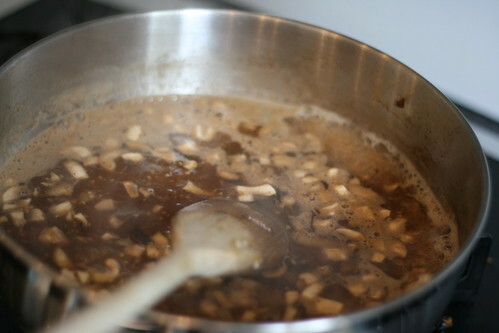 Add the tablespoon of gravy granules and cook for another couple of minutes, until slightly thickened. Keep it warm until you’re ready to serve. Then just take it off the heat, twist in some pepper and add tablespoons of fromage frais until it’s at the level of creaminess you like, and pour over your dinner. Mmmmmmm. You’ll end up using all of this, and if you’re not particularly bothered about manners you’ll probably use your finger to mop up the remains from the plate. It’s that good. 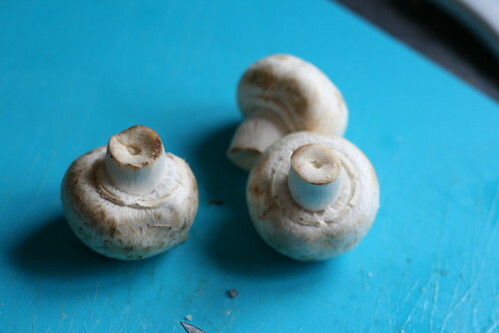 For a chicken meal use mushrooms, chicken stock and chicken gravy granules. For a really meaty flavour, onions with beef stock and onion gravy is top. If you find any other combination, leave me a comment and I’ll add you on here.